If you want to borrow Mohamed 2.0 from the Helsinki City library, it looks like you might have to wait awhile. 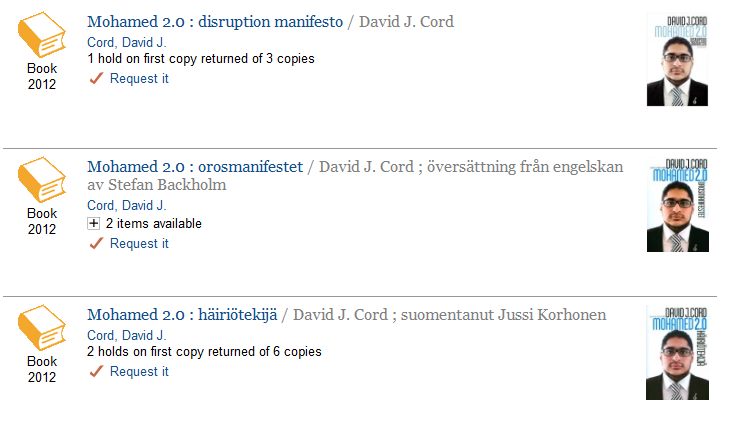 All the Finnish and English editions are checked out, and there is a waiting list. There are a couple of copies available in Swedish, though. Or, better yet, you can buy your own copy (see tabs to your left! ).